iPlus is a free blogger template with professional look and powerful features. 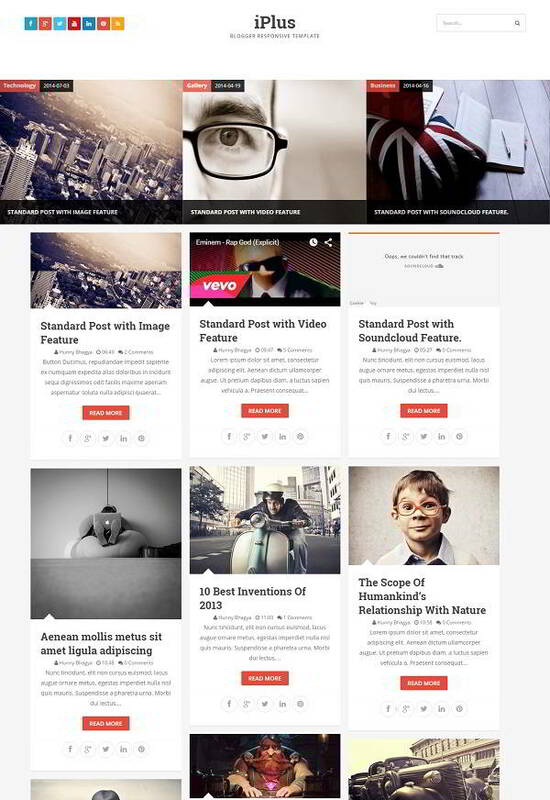 It is a creative blogger template which is completely responsive and retina ready. The template is equipped with full width slider and posts are displayed in a grid based style. iPlus blogger template is the best choice for personal, photography, magazine and design related blogs.